Emotional impact ultimately destabilizes entire industries, trade agreements, economies, currencies and countries. What was once considered “soft data” in business is colliding with the financial world every day causing tremendous aftershocks. When society feels business is out of alignment with its values, the impact is swift and severe. It spreads in seconds through social media. Orenda knows that in that sea of posts are precious trading signals. As assets deviate from their intrinsic value, that speed of change is not fuelled by financial fundamentals, it’s fuelled by accumulating emotion. Orenda’s comprehensive metrics are grounded in social science and deliver a real-time score guided by ESG objectives that keep companies honest and accountable. 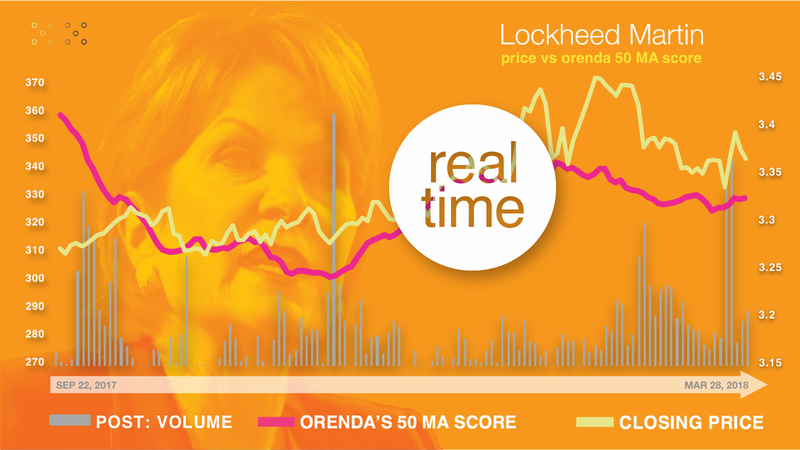 Portfolio managers can integrate Orenda’s scores for a more robust understanding of the company’s degree of accountability, and also real-time public feedback. 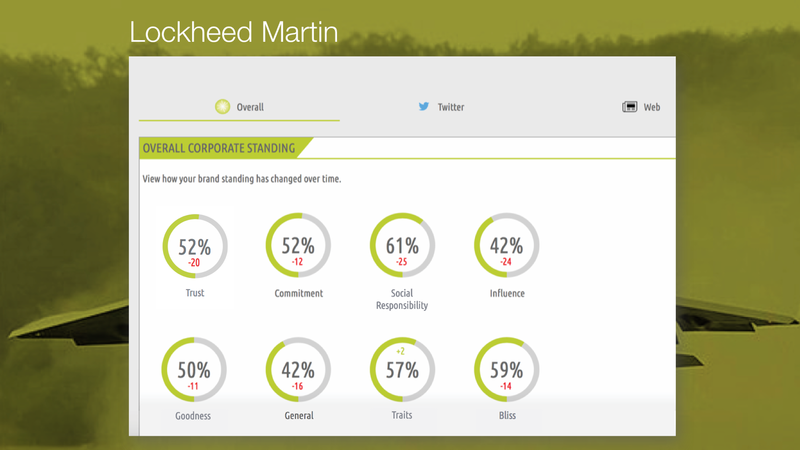 This keep ESG scores true every day. Behind every score is our algorithm interacting with the Orenda engine. There is endless proof that in order for any relationship to be considered healthy, we need certain things, like trust. 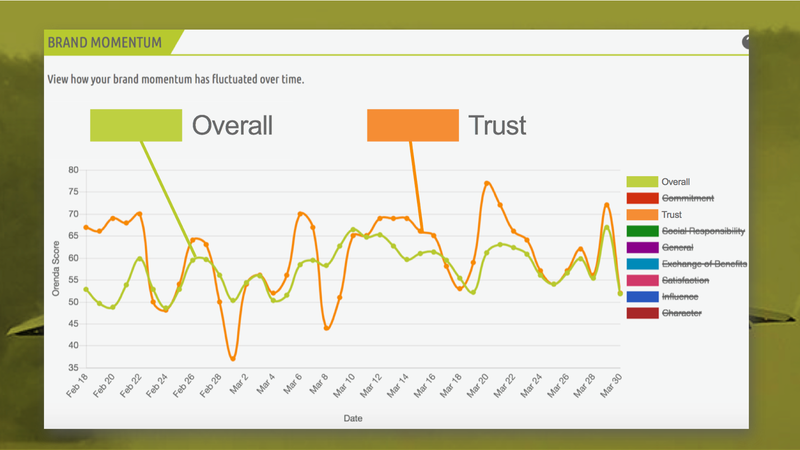 When a post uses language that triggers the trust index, Orenda determines if it's content that builds trust. That number changes as the emotion changes. Orenda also determines overall Brand Momentum. 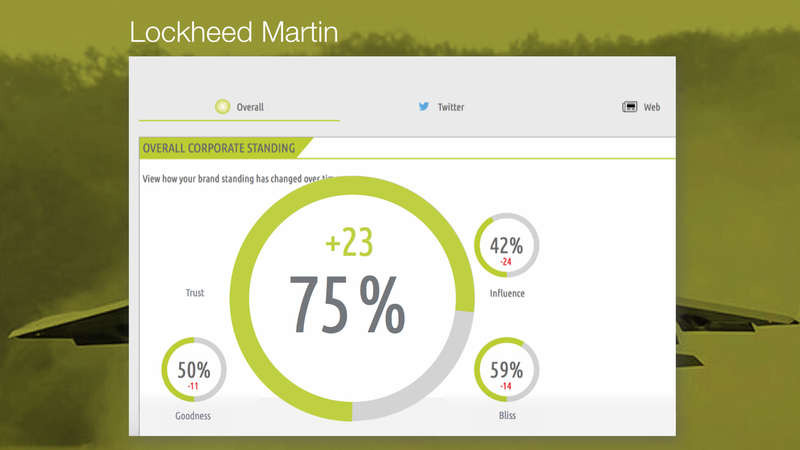 It's simple to take Trust and compare it to other metrics, like corporate social responsibility. Inside each index are more signals that allow you to dig deeper into what is trending up or down. Orenda replaces hunches with data points, making integration into multifactor financial models effortless and meaningful. Amsterdam. 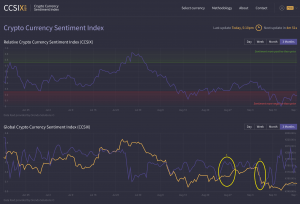 September 18h, 2018: Orenda Software Solutions (OSS) joins bit4coin to officially launch CCSIX – a powerful CryptoCurrency Sentiment Index for the crypto community. Beginning today, CCSIX.ai is live and supporting crypto trading decisions. The direct benefit to users is the ability to understand price performance by leveraging patterns within sentiment that generates alpha. The challenge faced by many is that the cryptocurrency market is viewed as erratic and irrational, and buyers and sellers struggle to make accurate predictions in the midst of the chaos.